Group membership numbers rose by 5.7% to 3,628, from 3,433 at 31 Dec 2017 (8.0% above 3,367 at 30 June 2017). New strategic Partners include Vitality Invest, which is launching in the UK. Group revenues rose 13.7% to £24.2m (1H17: £21.3m; 2H17 £22.8m), with £1.8m due to the acquisition of Landmark Services [and] underlying growth in revenues reflecting the similar growth in membership. Net cash of £1.2m, (net debt of £23.0m at 31 Dec 2017), reflecting operating performance and the beneficial impact of capital raised at IPO. In other news, yesterday the FCA released its Platform Market Study interim report. Zeus view: SimplyBiz’s membership growth is ahead of our forecasts (we had expected 3,605 members at year end and 5.0% CAGR over the next three years). Membership growth and the £1.8m contribution from the Landmark acquisition combined to increase average revenue per member up 5.9% to £6.9k (1H17: £6.5k; 2H17: £6.7k). We are confident that the combination of membership growth, rising average revenue per member, and increasing adoption of Distribution Channels will deliver underlying revenue growth of over 7% p.a. We make no changes to our forecasts. Regulation is a growth industry, as demonstrated by the FCA interim report on platforms. 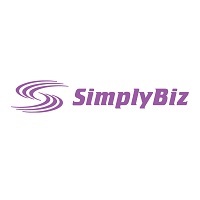 SimplyBiz’s services are perfectly positioned to support its members and partners. Valuation: At 185p SBIZ is trading on a current year PER of 17.5x and PEG of 0.76x. This trading update shows SimplyBiz is delivering stronger than expected growth in its membership which bodes well for future revenue and profit growth. 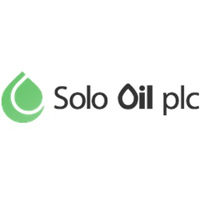 Full interim results on 11 September should confirm that operational benefits of scale and acquisitions are delivering attractive profit margins and high real double-digit shareholder returns. SimplyBiz is an attractive long-term holding: a growth stock with defensive attractions that should trade on a PEG of over 1x.